Once the exam is complete, a radiologist with Montgomery Radiology Associates will study the X-rays and compare them to any available prior X-rays of this same area. 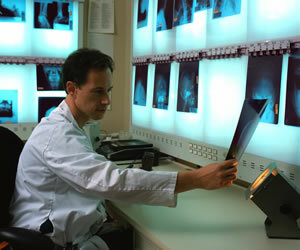 The radiologist will send a report of the findings to your physician. Montgomery Radiology Associates has been the leading provider of interpretation of radiological services in Alabama since 1963. Consisting of over 25 radiologist MRA is able to analyze, evaluate, and discuss your exam with the specialized experience and training needed to properly evaluate your health. No other radiology group in the area can provide you with the level of educational diversity, training and teamwork MRA has to offer.